My art auction is coming up this week and the pieces the students have done are incredible. Below are the collaborative oil pastels. Each student did a square and I then put them together like a puzzle to create the piece. Students returning from last year seem to remember working on the collaborative piece sometimes even more so than their individual pieces. The barn is done by one kindergarten class. It is an oil pastel rendition of a piece done by Georgia O'Keefe. 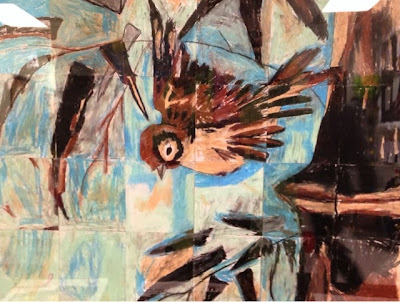 The bird and bamboo is done by a second kindergarten class. It is an oil pastel rendition of a piece done by Japanese artist Utagawa Hiroshige. The wave is done by the first grade class. 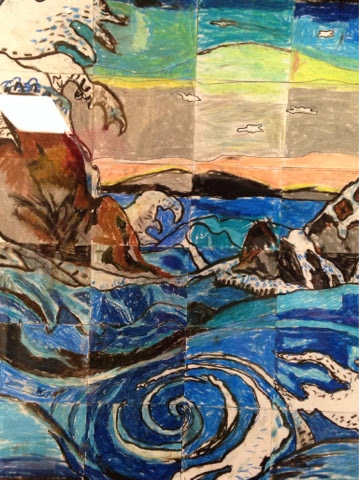 It is an oil pastel rendition of a piece done by Japanese artist Utagawa Hiroshige. 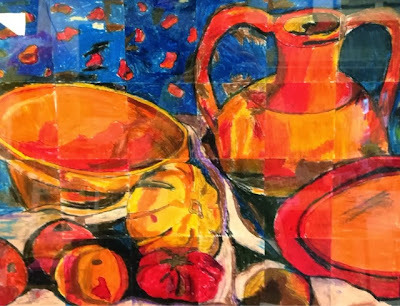 The still life is done by the second grade class. It is an oil pastel rendition of a piece done by a Paula Modersohn-Becker. 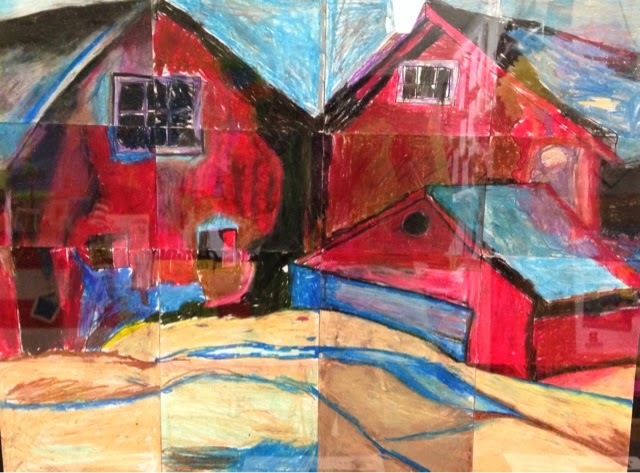 The cubist fox is done by the 3/4 graders. 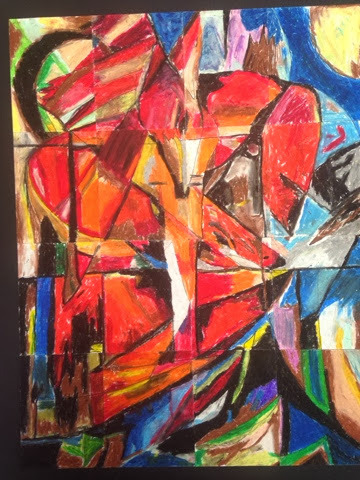 It is an oil pastel rendition of a piece done by Franz Marc.